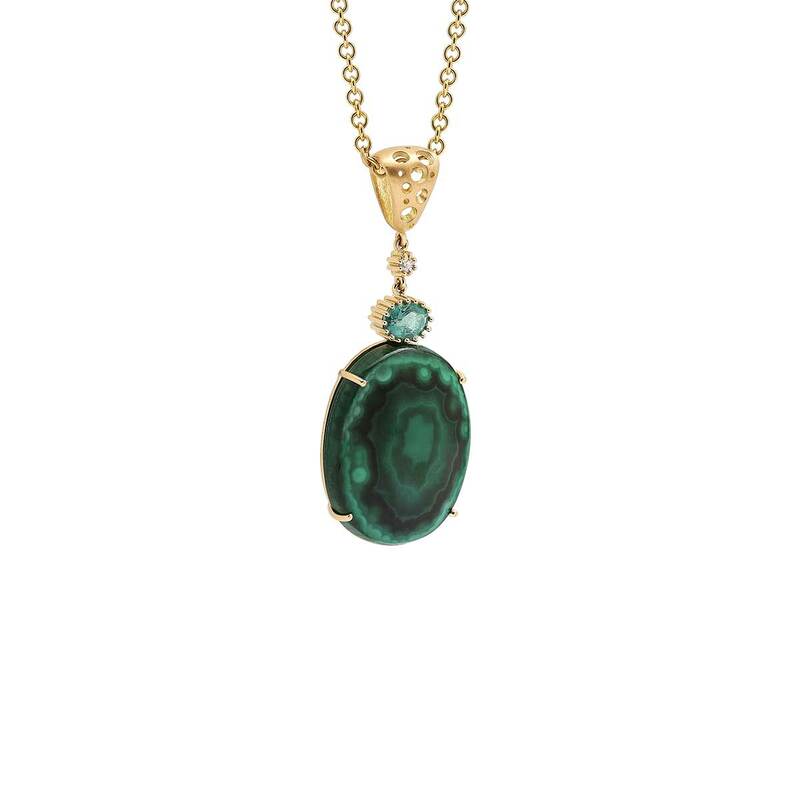 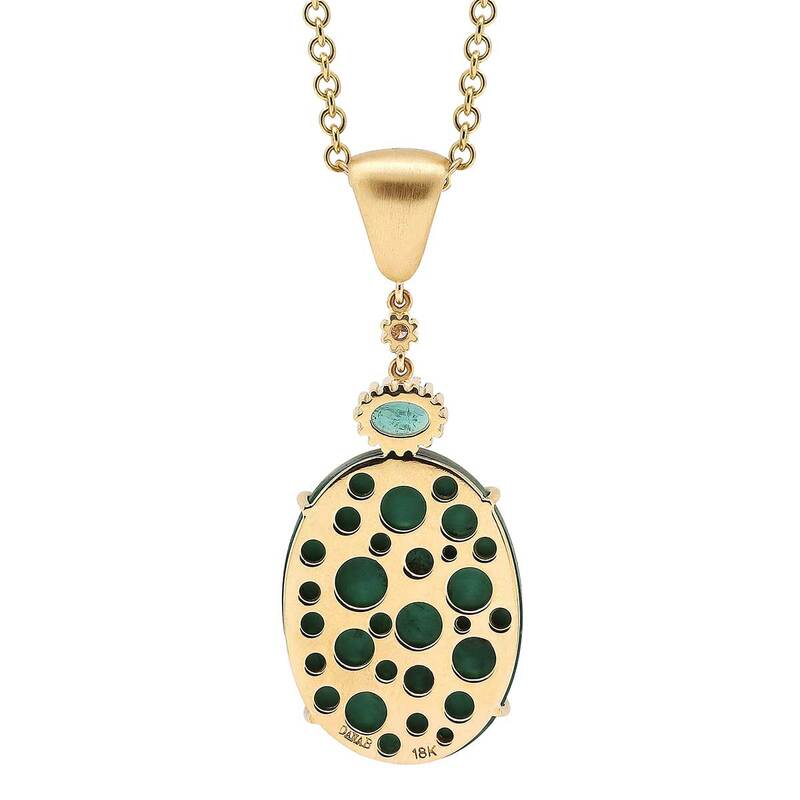 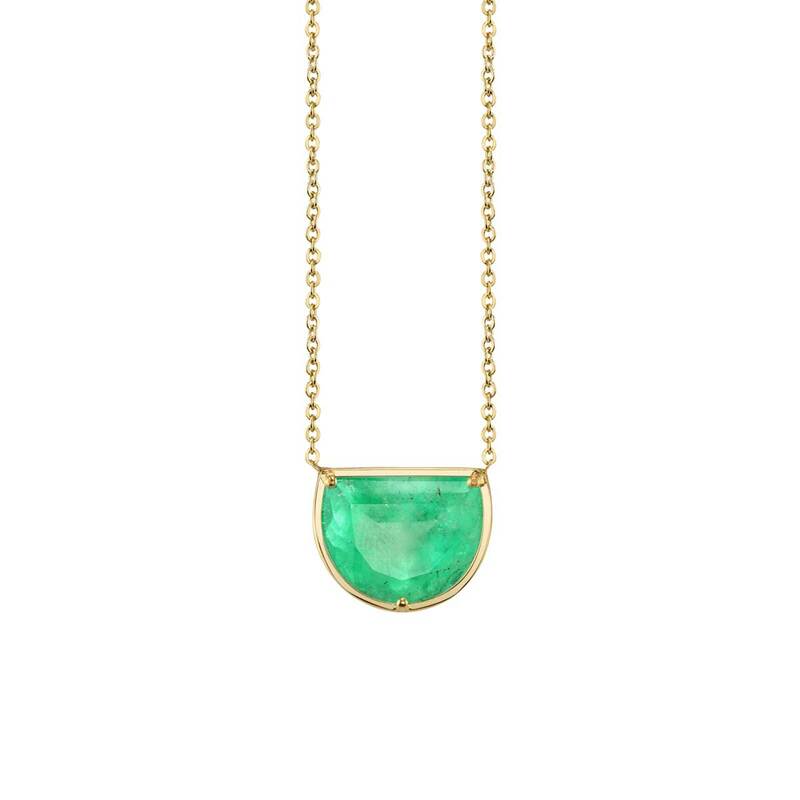 A statement pendant necklace like no other, this necklace features an exquisite 51.6 ctw malachite stone and 0.74 ctw emerald suspended from an adjustable 18K gold chain. 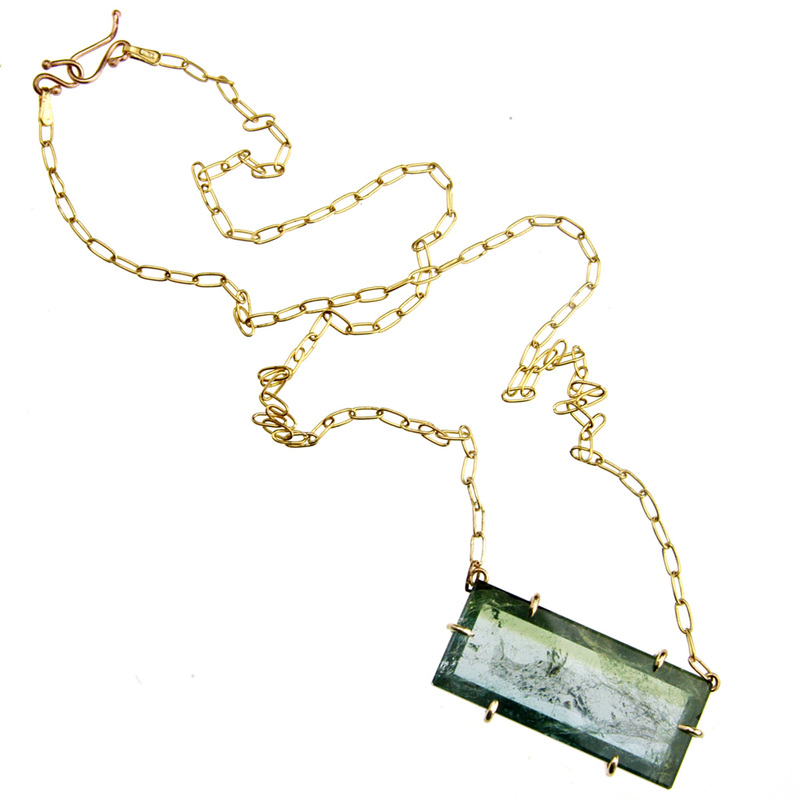 Stone is 1.14 inches long and 0.8 inches wide. 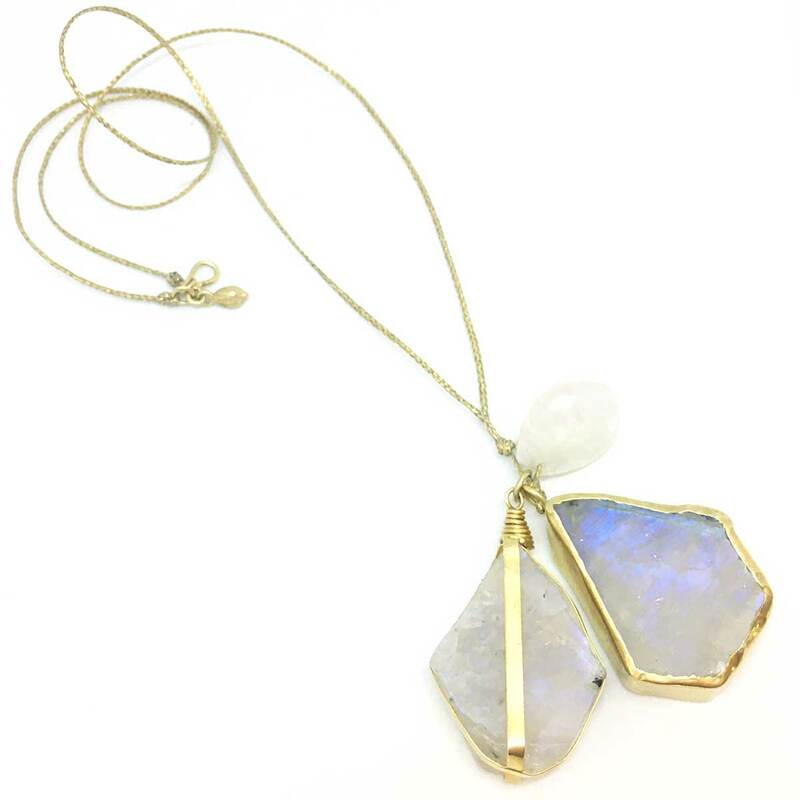 Total pendant drop is 2.2 inches long. 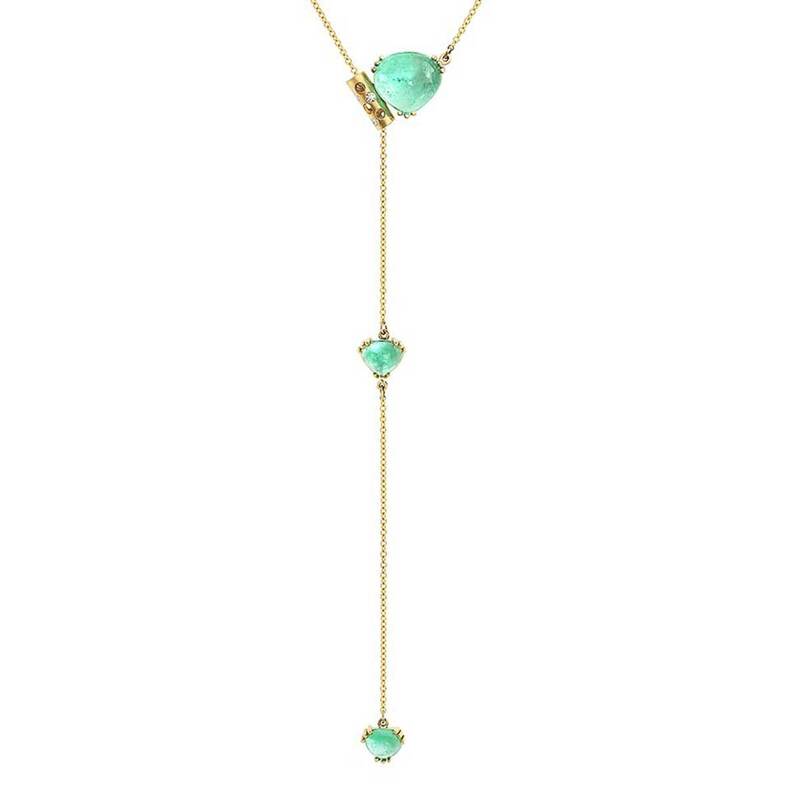 18K gold chain is adjustable to 18, 20 or 22 inches. 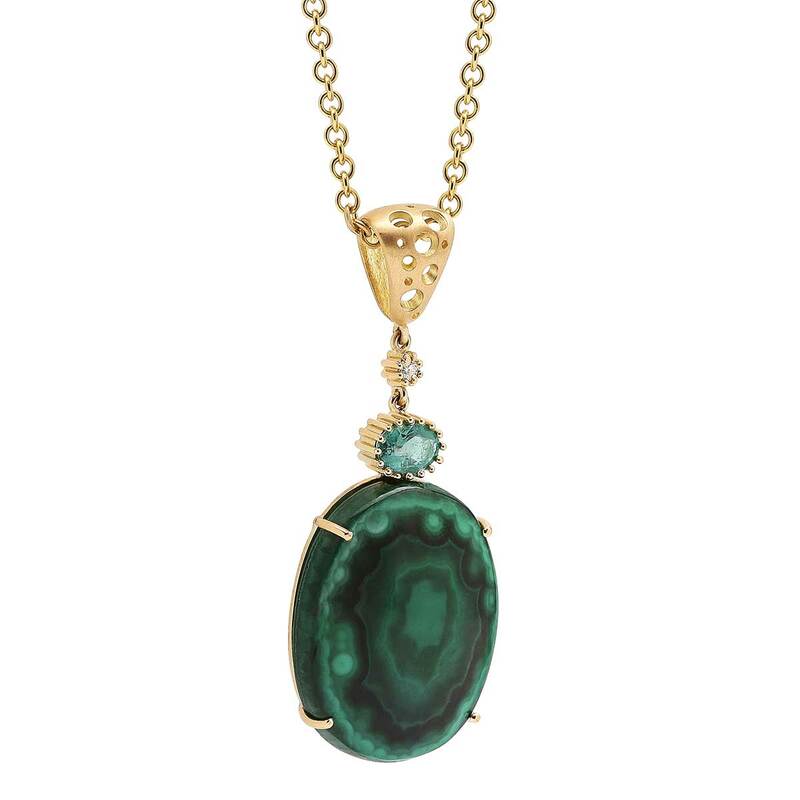 We love how this necklace makes a powerful statement with such a meaningful and beautiful stone, believed to bring healling and positive transformtion to the wearer and often called the “stone of transformation”.